Designed to assist Chicago property owners in sprucing up their homes with the help of local experts, the program tackles topics such as home remodeling, custom furniture pieces, flooring selection and much more. Taking viewers through the ins and outs of home repair and beautification, 'Home With U' features taped segments with businesses such as O'Reilly's Furniture, Studio 41, Mr. Floor and Beldon Leafguard. Saturday, October 6 at 9 p.m.
Friday, October 12 at 7:30 a.m.
Sunday, October 21 at 11 a.m.
Friday, November 2 at 7:30 a.m.
Monica Pedersen is a successful designer and television host with an obsession for eye-catching textiles and beautiful fabrics. 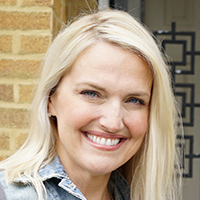 A former host on HGTV’s ‘Designed to Sell,’ Monica has appeared on several of the network’s programs, including ‘Bang for Your Buck’ as a design critic for home renovations and as co-host of the 2012 HGTV Dream Home Giveaway. A trusted expert for homeowners looking to maximize meager budgets while adding creative flare to their space, Monica has gained attention from national programs such as ‘Live with Regis and Kelly’ and ‘The Today Show.’ In addition to her work on television, Pedersen also released her first book, titled Make It Beautiful: Designs and Ideas for Entertaining at Home. 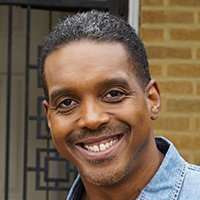 Rob North is a Journeyman Carpenter best known for his seven-season run as host of HGTV’s ‘Designed to Sell.’ A Chicago native and US Marine veteran, Rob grew up the south side of the city and graduated from Percy Julian High School. As a master craftsman, Rob’s passion for working with his hands has ultimately lead to a successful transition into TV, where his projects center on budget-friendly do-it-yourself home repairs and improvements. Most recently, he signed on as co-host of The CW’s ‘SAVE our SHELTER,’ where he works to renovate struggling animal shelters across the United States and Canada. Rob has served as a spokesman for Craftsman Tools for the past six years.